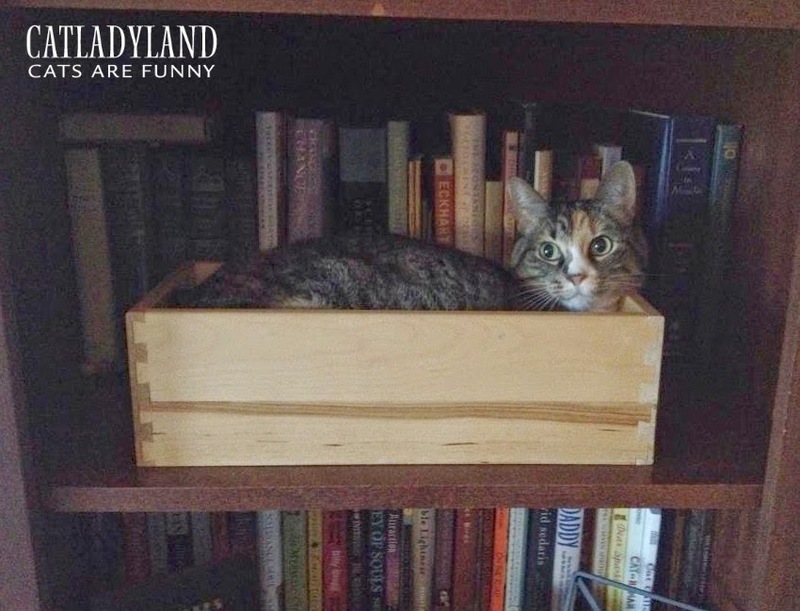 Catladyland: Cats are Funny: Let's Hear It for Feline Illiteracy! Let's Hear It for Feline Illiteracy! OK, I admit I staged this photo, but Phoebe looked so cute in the long narrow box and I was looking for photo ops. I think if she could read, she wouldn't be much of a bookworm -- her attention span is way too short. She'd probably read blogs trashy magazines. Hey, what if she were reading blogs and ran across this blog post? She'd probably start demanding a cut of everything I write about her. Yeah, probably a good idea my cats are completely illiterate.